There are a lot of things you can do by connection to an arduino wii. Jonny Lee showed some very nice ideas with a practical implementation. He published the how to do part so you can do it yourself. Here you can see some rather more mundane stuff you can do with the arduino wii. Finally the Att pin is brought out so you can reset any extension that is connected. 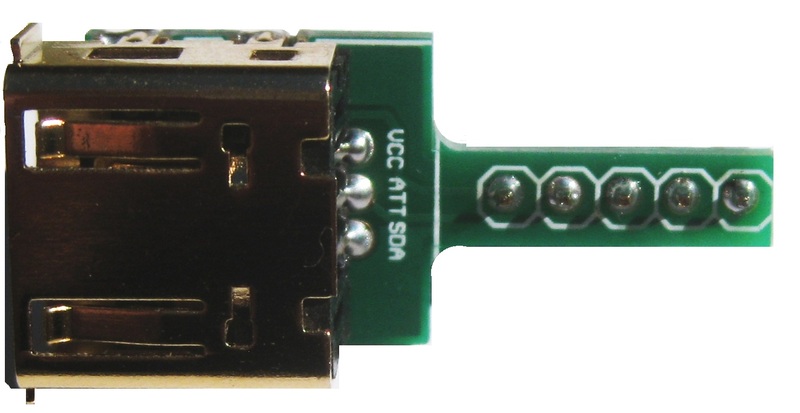 The adapter costs only 5.50€ and can be found in the arduino webshop. I am in the process of making a wii drum emulator. This uses an arduino wii adapter and makes the arduino behave like a wii drum controller so that you can control the wii from the arduino. This application uses a simple piezo element to emulate an electronic drum and translates the signal to something thgat the wii understands. Cool !!!! There is also a Wii library where i keep all the interfaces written. This includes nunchuck, classic controller and guitar here. There are several programs that help you to understand what the extension is transmitting by visualizing the output. These use processing code to do that connected to the serial port of your computer.